Recently, NPR did a story on the future of traditionally printed children's books versus children's ebooks and apps. 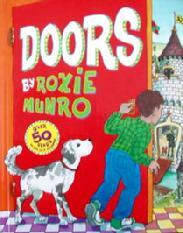 Author and illustrator Roxie Munro gave her perspective. Listen here and check out her website here. Below is the promo for the app. Original content copyright 2009-2017 by Andrea Zimmerman. Simple theme. Powered by Blogger.